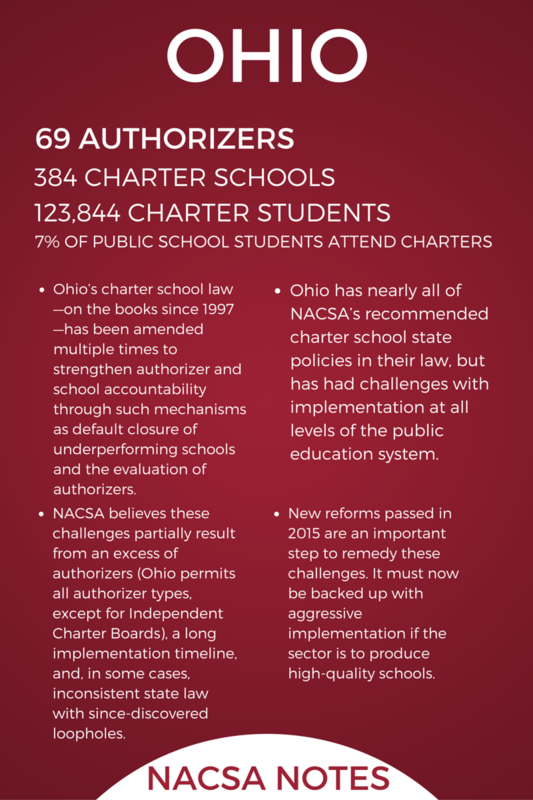 Here are edited excerpts of our Story Suite conversation with Mark Michael, Director of the Ohio School Sponsorship Program for the Ohio Department of Education. Mark participated in NACSA’s Leaders Program during 2013. NACSA: You are a graduate, almost a year out of [NACSA’s] Leaders Program. What do you think you have now as an authorizer? Whether it’s perspective or a certain tool in your toolbox, what do you have now on the backend of Leaders that you didn’t have going into it? Mark: You know, I guess it’s a lot of knowing what I didn’t know. Knowing what you don’t know and then where to go to get the answers and the help you need to fill that gap is huge. And so, now I’ve met a whole network of people that have done the same thing that I’ve done, have gone through similar things, and already have a wealth of information to pass along or perspectives that are useful to draw from, that I didn’t have. I was just creating our program from scratch according to what Ohio law said, but there was this whole wealth of professional experience out there that now I know it’s there. If I’m running into a problem, I’m going to send a group email first of all to the [NACSA Leaders Program] cohort and say, “Has anybody experienced this? Do you have documents that can help or perspectives?” And you get 10 responses right away, and it’s been great. So that’s what I didn’t have in the beginning, and that’s what I really think is so valuable right now. NACSA: Will you really get 10 responses? [In Ohio] we have 501(c)(3) nonprofit authorizers, district authorizers. Our former county boards of education are now called educational service centers. Some of them authorize. One of our best authorizers is an education service center. So they’re dealing with the same atmosphere, with the media scrutiny, the same pressures. [We’re] dealing with the same sets of laws, not my own laws of fabrication, but the same set of charter laws. So we all get it. We all have a close network. We talk a lot, collaborate, but then I also have a lot of connections with people doing the same work in other states. But we all have different political climates, different legal climates, but there’s a lot that’s the same. Authoriz[ing]—there’s accountability, compliance, monitoring, technical assistance—it’s very similar no matter where you go. There are differences, but we’re all trying to do the same thing. We can all draw from each other’s experiences. Mark: For example, our application process: It’s been an evolution, where we’ve re-done it every year. When I first read that law, I really wasn’t interested in this job because it seemed to me that we—the department—we were being set up for failure. I said that to our superintendent at the time when I was talking about this job, and he said, “Well, you may have to take those [schools], but you don’t have to keep them [long term]. I want you to be able to do a quality job. I want to give you the tools to do the job right within the context of the law that we have to deal with.” So I knew I was going to have the support that I needed to do the job correctly because I didn’t want to have to just do a job that I couldn’t be proud of, that was low quality. The challenge throughout the time has been to interject that quality wherever we could. Through the [NACSA] Leaders Program, my project was to take as many of the quality standards from NACSA as I could and interject them into our applications requirements, under one of the 15 criteria, and require that to meet sufficiency, knowing that if we got sued, we might lose. But I was willing to get sued and lose, in the name of helping the level of quality of what we’re looking for. Now, [Ohio] just passed some new legislation that actually gives us the ability to do all the things that we needed to do, so that’s very exciting. So for me, being able to put together those pieces that I’ve seen that I want to have, getting them done, getting them in place on a day-to-day basis, that’s really exciting for me. NACSA: Did you face pushback of any kind as you tried to bump up the expectations around quality? Mark: Because it was unethical. 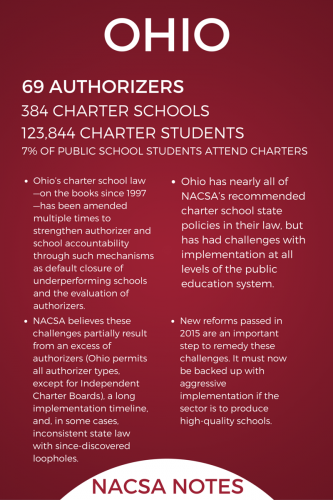 First of all, it was unethical in Ohio to be drawing from both sides of the spectrum, as a for-profit operator, and then being able to control the board that gives them that contract. To me, that’s very clearly wrong. Even if there was a legal loophole to allow it, I think that’s wrong in the public [education sector]. You’re dealing with public money. That’s not right. I was willing to go to bat on that one, and I had the support of the department behind me on that, which was great. But they [the for-profit operator] didn’t sue us. So, the things where we could have really gotten a lot of push-back on it became muted because I think we were doing the right thing, which has been good. NACSA: Are there times where doing right by families seems to be in conflict with doing right by the general public, by taxpayers? Mark: Yeah. It’s always hard to close a school, and we were talking about that in the [NACSA conference] session I was at this morning because you’re dealing with real people. The kids generally will love their school, even if they’re attending a poor[-performing] school. By and large, they love their teachers. They feel safe. The parents like it because the kids are happy. But the school is not preparing them for their next step. They’re coming in two years behind and leaving two years behind, or further, and it’s been a [long-term] pattern. After we closed the school down, they sued us twice. We won both times, over the summer, and we got them shut down. The administrator came back and told me that my comments really made a difference for her: she really thought about what I had said and agreed with it. She had just been on [as administrator] this last year, but looking at the whole picture, the school did need to close. 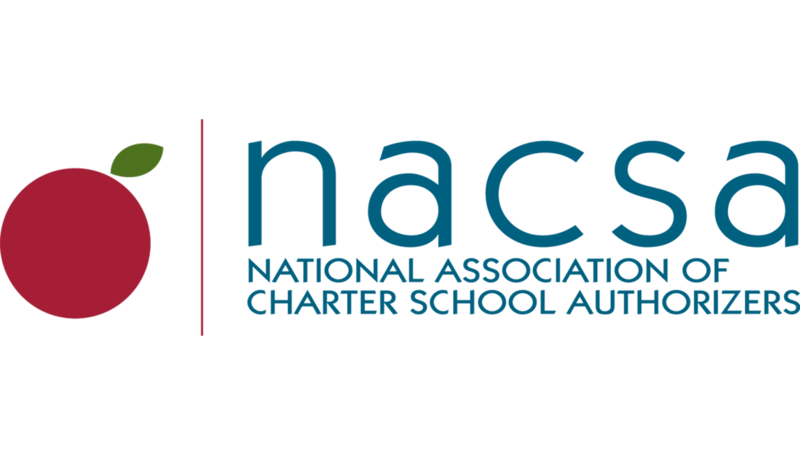 NACSA: Have you found any particular tactics or tools that have helped you as authorizer deal with the families and with the real pain that it causes families to have their school close, no matter how good or bad it is? But taking a step back—looking at the overall picture of the school’s performance, and if it’s teaching the kids—[is important]. Are they learning what they need to learn, from 5th grade going on to a middle school—that might be a different school—or going on to a high school, or leaving high school actually ready for college or a career? You know, are those kids actually hitting that point? You need to ask yourself then: is it better to be just happy, but fail? [To] go into high school two years behind, where your kid is frustrated and can’t meet the expectations and perhaps falls through the cracks? Or would it be better to find another opportunity where that student—your child—can be ready? That’s very hard, and you’re not going to convince everyone, or the parents, or some of the board members, or the administrators, but that’s what we have–that’s what we’re here for, and you have to be able to deal with that. But you can’t lose sight of real people with real emotions. It’s tough to navigate, no matter how you look at it.